I. The first edition of this guide was crafted by Warby. I just extended it a bit and we’re both proud to present you this 2nd edition! II. If you like what you see and want to support the experience, feel free to check out the new Support Simon-page. 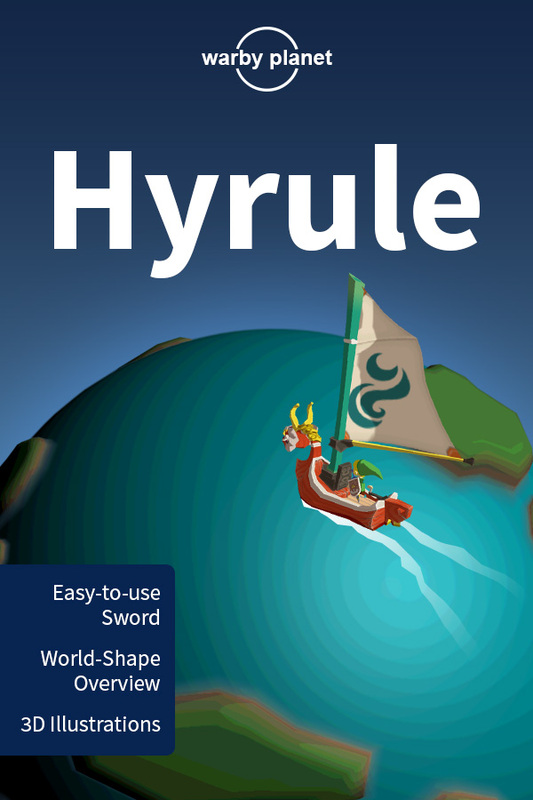 Now then, we wish you a great time reading through this guide and discovering some of the greatest secrets crafted by Nintendo – the ancient creators of Hyrule. The shape of our world has been seen as a disc and (since some years) is nowadays known as a sphere. The shape of the world where Hyrule is settled, has for form of a cube. The GameCube. The GameCube console was released 13 years ago (in 2001) which makes it even more respectful what Nintendo squeezed out of its hardware. We’re talking about cell-shading, cloth simulation, depth of field effects and more. The following pages will cover some of the greatest tricks and we hope you’ll be as impressed as we are. But as you see here, nothing gets culled. Note: Based on the changing draw call count while rotating the camera, there is view frustum culling). It seems that the GameCube was faster in just rendering everything instead of sorting what doesn’t need to be shown. Hyrule is full of refreshing air and rich green grass bushes. You can cut down every single one of them and you might suspect that there surely must be some batching/instancing technique behind that amount of bushes. But if you look at the scene drawcall per drawcall, you’ll notice, that every bush is separately rendered. Warbys observation brought up the question “What exactly is a draw call?” in Simons head and he then spent two month writing about rendering. Below you can find an animation where drawcall after drawcall is shown – you can see that every plant is rendered separately. The GameCube seems to crunch through those drawcalls very well and one reason for this is, that consoles have less clutter (driver, APIs, …) between the game and the hardware and the whole rendering process benefits from the less communication between software and hardware (read more about this in the mentioned article). One remarkable characteristic of the citizens is, that their eyes and eyebrows are always rendered on top of their hair (the mouth isnt). For some people it’s hard to get used to this “Manga Style” but you better do because the Hyrulians don’t like to get stared at. The people in Hyrule love sport. Below you see one doing his morning exercises and he fits his feet in no-time to the stairs. Isn’t this impressive? The game is more than 12 years old and even today not every game has such a IK-System implemented (but it’s worth noticing that Zelda was not the first game with such a technology). Additionally, the feet don’t only get fit to the height but also to the angle of the surface! A lovely detail in my eyes. The residents in Hyrule love fashion! Even the monsters decorate their spears with beautiful moving streak-cloth-thingies. But simulating cloth is expensive and some skeptical tourists could think it is pre-calculated. 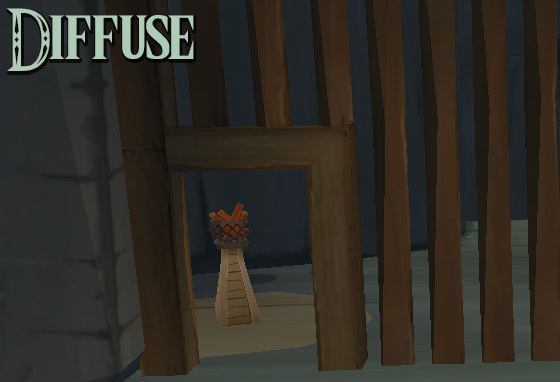 Also non-static objects like this barrel (some Inhabitants use it as a hideout and sneak around) are excluded of the cloth simulation. Last but not least: the fashion-piggy itself seems to be made of air from the perspective of the cloth system. But all this is really nitpicking. It looks great and while wandering around in this beautiful world, nobody rally cares about those tiny details and we rate this sense of detail with 5 Warby & Simon stars. The stars are made out of two triangles which makes sure that the edges always stay sharp! Another interesting detail can be observed by looking at the sky – but at daylight. By looking closely into the sun you get a nice lensflare and an even nicer HDR effect. 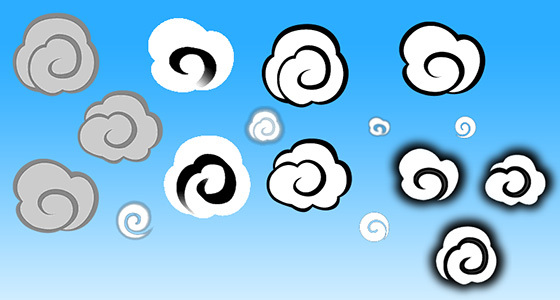 A small hint from our side: Look out for a clear sky when you want to observe the sun because clouds make the effect disappear. You can’t see this plane in-game yet, but as soon as the world decides to turn the water on, the plane fades slowly in and presents itself with a nice water-texture. Several points shall be noticed: The plane is tessellated and therefore “real” waves can be produced. The center of the plane is always below the boat and moves with it (if you look closely you can see where the plane ends in the distance). To give the illusion of movement, the wave-texture is scrolled over the plane depending on your direction and speed. 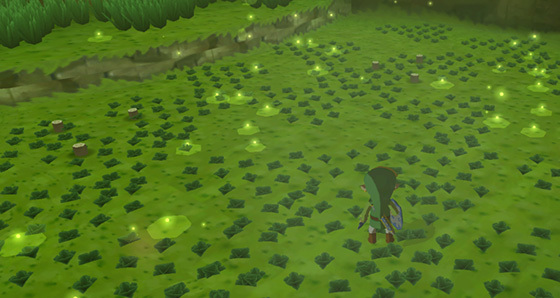 Without Internet, the people in Hyrule have a lot free time, which some fill with catching fireflies. While running behind a shiny firefly, you may notice, that they seem to have dynamic light sources which could be kind of a performance hit. 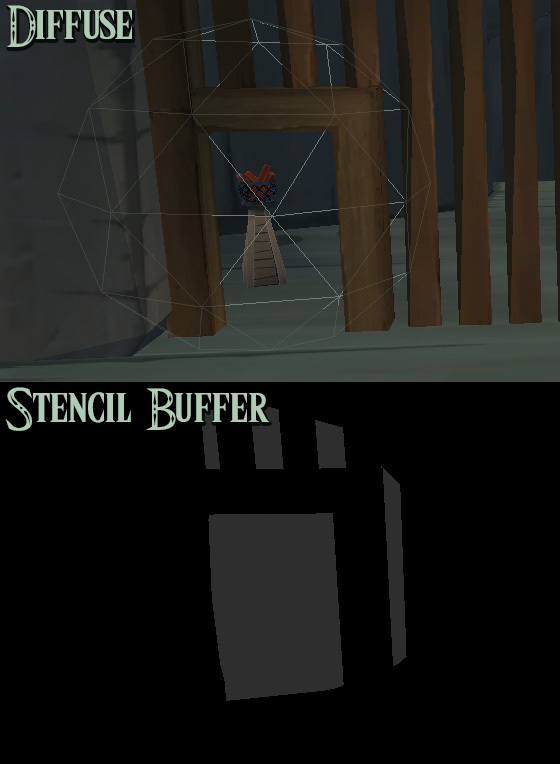 Instead of using Deferred lighting, they used a stencil buffer – which is a full resolution texture, masking out (using bright and black pixels), where the light actually needs to be rendered. To create this mask, they render 3 geometry spheres per light – their presence/intersection with the world create the final mask. THe following is speculation – for the 100%-truth you have to ask Nintendo. The 2nd sphere is rendered – this time the front faces are used when they are not obstructed (which means that this time hidden lights are not added to the mask). If you look separately at this draw call, it looks like this. 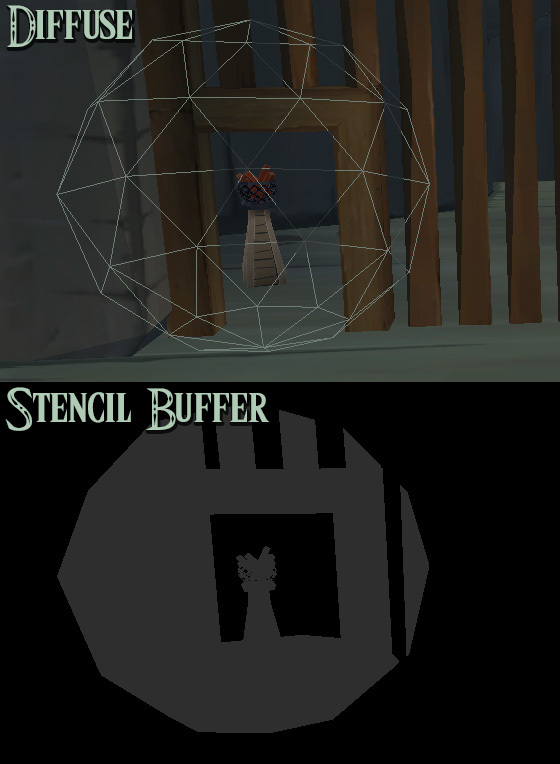 In the stencil buffer this mask is overlayed above the one which was rendered first. The result looks then like this. The areas where the first and this draw call overlap, get even brighter. This bright area is exactly what we want. Last but not least, the 3rd sphere is added to the scene. And within its range, the darker values are clamped and only the brighter values stay in the buffer. This means, that hidden lights are clamped to black since they were not brightened up since they didn’t make it into the mask during the 2nd step. 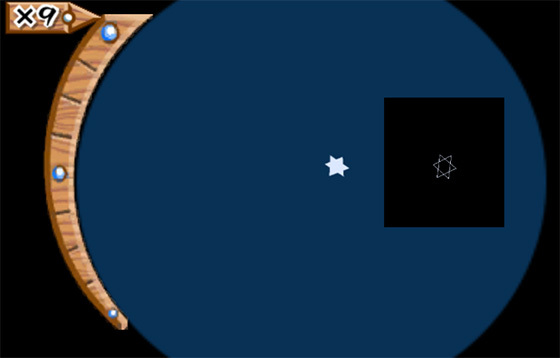 After those 3 spheres, a fullscreen quad is rendered above the whole scene with the color of the light. Of course, you don’t want to have the whole scene lightened up! 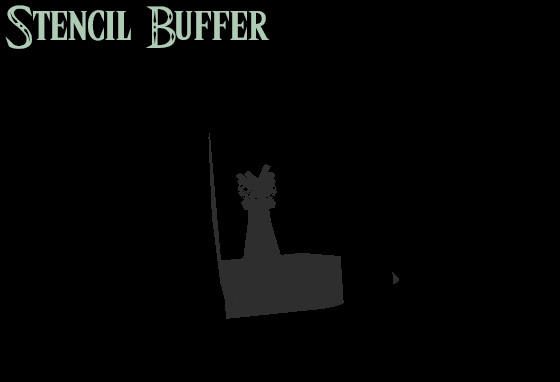 Therefore you render the light only where the just rendered stencil buffer mask has bright pixels. Here’s an example of the whole process. Notice, that some lights “disappear” from the scene, since they are hidden by geometry. Like mentioned above, everything is rendered in Zelda. There’s no distance culling. The shadows itself are really interesting too! In our world, everything casts a shadow. In the Zelda game only characters do! Every character in a scene gets its shadow rendered into a 128×128 texture. Only big monsters fill this texture to a major degree. The vertices of this geometry don’t seem to be “stitched” together because you can clearly see gabs between differently oriented faces. This also supports our assumption, that the polygons were extruded to float above the surface. But look how this impression changes when the major part of Links body is below the water surface (which doesn’t influence the shadow map generation since it was done as first render step without caring about the environment). It looks like the water is kind of transparent. Two effects by not changing the technique. Impressive! Thank you for reading through the whole guide! We hope, that we could serve some useful information and we would be happy if you got motivated to start a nice tour to and through Hyrule. For any further questions feel free to contact us! Below you can find additional sources for more information about Zelda, Hyrule and technical details. Nathan Gordon started writing this great break-down about Zelda. Current topic is the ocean, more to come like fire, explosion etc. This entry was posted in Game Art Tricks and tagged Hyrule, Warby, Wind Waker, Zelda on 26. November 2014 by Simon. This is a great article thank you for sharing! For a TV show project with a similar look we used a very similar technique with the water edging. One correction I’d like to make. I don’t think deferred shading is being applied here for the fireflies. What it looks like is something similar to ‘depth-fail’ shadow volumes, but much simpler and doing an additive blend. So the trick is after you render the whole scene you disable depth writes and set your depth testing to ‘fail’ so when you issue a draw call of a sphere that overlaps a bit of ground or wall it will render fragments only if your geometry is less distance to the zbuffer, and you just make the sphere a yellow or white additive colour, and the sphere must have its normals face inwards and with backface culling enabled. It explains why the light is a constant cut-out colour rather than having a smooth fall-off on the edges like a point light would normally have in deferred shading, but here it really suits the style of Wind Waker and it is very very cheap to render. I just added a small text to make this more clear. What do you think? It is OK or confusing, that i let the deferred rendering part in the article? Yet another awesome post, shows just how much an API pays off in efficiency. Thanks for making these, keep it up! Thanks man :) Yeah .. it’s interesting how much communication between hardware can improve or decrease performance. Incredibile article, it’s hard to imagine what a man can learn from an old game. With the light spheres, isn’t it just a simple combination of ZTest, ZWrite and blending? As in, you only render the light sphere geometry where it’s behind other geometry (and you render it with additive blending). I don’t think there’s any kind of deferred lighting, not because it’s too complex, but because the light’s “halo” isn’t spherical. Although it looks like I’ve been beaten to the punch with that one! Ok, hoping you’re still reading replies here. Thank you for the wonderful analysis! Found it through Warby’s post, and you really did manage to elaborate! I’ve sort of used it as my way into the more technical aspects of 3D game art, as well as a reference in a mini-thesis on techniques used to create a game with a cel-shaded visual style. Thank you for your time and consideration, and thanks again for this article! A friend just showed me your website, and now I am going to spend a lot of time here! 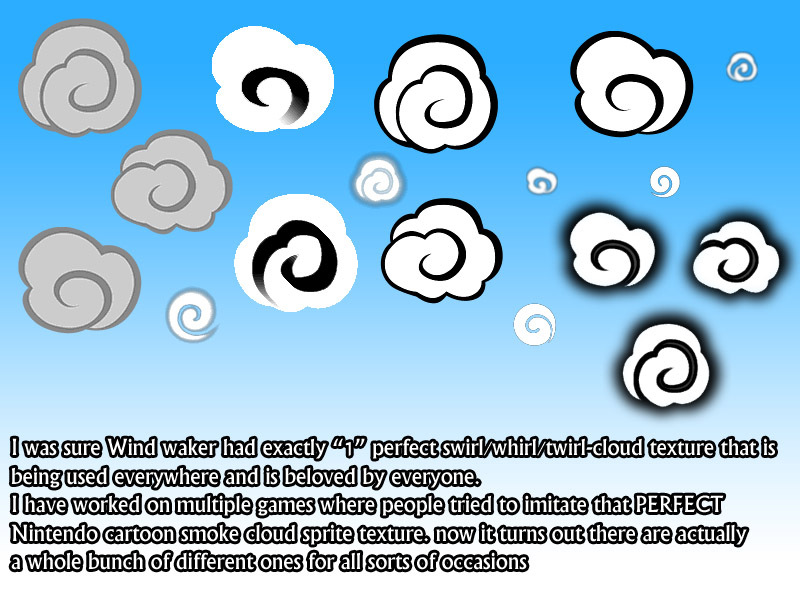 I wanted just to ask, if you have any clue of how the clouds are rendered in wind waker, they cannot be volumetrics, so I belive it’s some parallax/normal magic. Do you have any clue? First of, awesome job on sharing the knowledge! It is very useful. Now, I suppose you must have quite a few requests, but I was wondering if you could briefly show the way Windwaker setup the waterfalls/water. Just a few wireframe screenshots that would tell us more about how they set them up, if possible(I have no idea how much work making these screenshots represent). I have an idea, but I think they’ve been smarter than what I would except.